Our Webinar is free, however there are limited places available. Registration Closes: Monday 9th September 2013. Mark Webster is the Founder and CEO of Acacia Immigration Australia. He has a Bachelor of Laws with Honours from the University of Sydney, and a Bachelor of Science (Hons, University Medal majoring in Pure Mathematics) also from the same university. Do you want to know the best way to getting your Permanent Residency once you finish your studies? Acacia CEO, Mark Webster, will guide you through the best tips for getting your PR as a student in Australia. There are only 250 spaces for this Webinar. We will send an email to the first 250 people who register with the details of how to log on. If you miss out, don't worry! We will be recording the webinar so you can watch it on our Youtube Channel! We will be holding regular fortnightly webinars, so those who register and do not make it this time will have priority for the next webinar! Figuring out which Visa Option is best suited for you can be confusing and stressful. 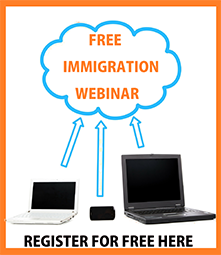 If you attend this Webinar, you will get $20 off your initial Visa Consultation with one of our Experienced Migration Agents. Registrations are now closed. Thank you to everyone who will participate this time around. Watch this space for the next webinar session.